Station Hollywood: Happy birthday to Mithun Chakravarty. Happy birthday to Mithun Chakravarty. The viewers of bollywood films wish happy birthday to Mithun Chakravarty on 16th June, 2014. He had contributed in bollywood films for more than 30 years and had also contributed in Bengali films as well. He brought revolution in the world of dancing in bollywood films. His film Disco Dancer, was related to the struggle of a young man in establishing him in the world of dancing. The music of the film composed by Bappi Lahiri played a big role in the success of the film. All the songs in the film became super hit including “I am a disco dancer”. Kishore Kumar, (Bappi Lahiri’s own relative), and Bappi Lahiri contributed a lot in the success of Mithun Chakravarty. 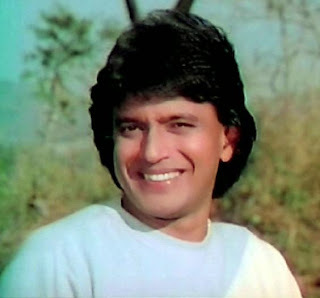 Mithun Chakravarty acted in successful films in the 80s, including Dance Dance, Pyar Jhukta Nahi, etc. Some of films were dance oriented films, while the other ones were action oriented. Although Mithun’s husky voice was criticized at times, his action sequences had always been appreciated. Mithun Chakravarty won a number of national awards for his excellence in Bengali films, mainly related to films of intellectual directors like Mrinal Sen and Buddhadeb Dasgupta. His performances in films like Mrigaya and Tahader Katha require special mention. At the same time he acted in many commercially hit films like Anyay Abhichar and Kalankini Kankabati. In the last 5 years, Mithun had kept his mark in character roles. Last year his performance in the role of a solicitor in the film Yuvvraaj was appreciated. He did a fantastic job in Akshay Kumar’s Chandni Chowk to China released in 2010. His emotional performance had made a lot of viewers cry. He tried to convince Akshay Kumar that those who tempted him to go to China and create name and fame were not his friends or well-wishers but were flatterers. Mithun had matured over the years. In 2012 he did a great job in the film Housefull 2. He acted along with Akshay Kumar, John Abraham, Rishi Kapoor and proved his worth in the role of dacoit. These days whenever he is given any character role, he uses his long experience for the last 30 years in giving expression to the respective character. He played the role of the ancestor of Salman Khan in the film Veer, for two generations he maintained the bravery and glory of the pindary clan. Mithun had also acted in negative characters and did a great job in those roles as well. His comedy performances in films like Agnipath can inspire many new actors of modern days. Besides Mithun had also been a great human being as he contributed in relief operations during natural calamities and human causes like raising funds for Thalasemia patients or people suffering from cancer, etc. Mithun Chakravarty also appeared in Sourav Ganguly’s program Dadagiri and there also showed his excellence in answering questions. His success story from the beginning of a middle-class Bengali family can be a learning example for many youngstars. He is a hardworker. He is required all over India, in Dance India Dance program, in Dadagiri, bollywood films, Bengali films, everywhere. He had also been a member of the Rajya Sabha and there too he did a good work. The viewers expect him to continue the brilliant work that he started years back.